Want help getting moving as a family this summer? Marathon Kids has a fun challenge that starts June 1st and will help you complete the marathon distance during walk and talk sessions with your kids. 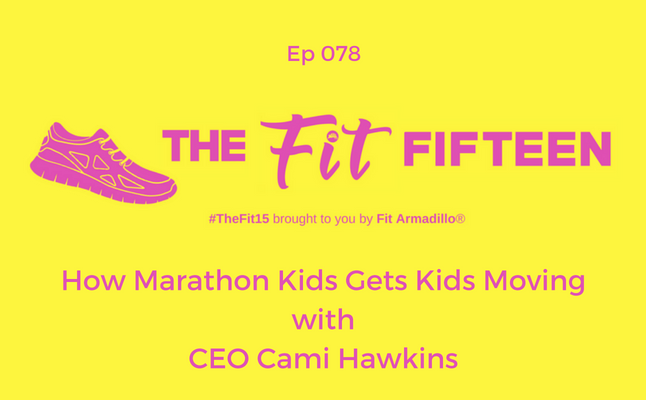 Learn more about this fun, free promotion and the nonprofit organization by listening to my conversation with Marathon Kids CEO Cami Hawkins. Cami Hawkins healthcare professional, philanthropist, fitness enthusiast, volunteer, and Chief Executive Officer of Marathon Kids. 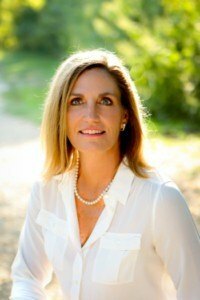 Combining business acumen with her career objective to help other people and her personal passion for empowering kids, Cami is uniquely qualified to lead Marathon Kids to new heights bringing a fresh approach to overcoming traditional not for profit challenges. Cami joins Marathon Kids with more than 20 years of experience in the healthcare industry. That experience has ranged from being Vice President in a large payer organization, a business owner, a CEO of a multi-disciplinary group practice to most recently, a managing consultant with GE Healthcare Camden Group. Cami is a proven leader with significant expertise in process improvement, strategic planning and activation, and management. During this transformational period in healthcare, Cami has assisted a wide range of organizations addressing issues impacting their overall performance and competitive positioning with a keen ability to solve problems and create solutions. Cami is a proud Texas Longhorn with a BA in economics from the University of Texas, Austin and a masters in Health Administration from Trinity University in San Antonio. She is married and has two children, former Marathon Kids, now in college.